Turns out someone is always watching. Reminding myself helps. When I’m talking to – or yelling at – my sons. When it’s just me and the stream in my head – I count. I’m watching. What’s done gets exposed. All of it. I get credit, sooner or later. 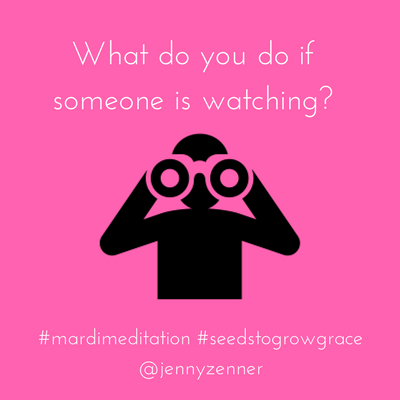 What will you choose to do knowing it’s going to be seen? ← Feeling Caged or Called?